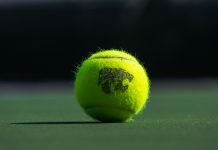 The Kansas State tennis team is hits the road to Denton, Texas, for two dual meets at Waranch Tennis Complex, starting with North Texas today at 2 p.m., followed by Washington State at 11 a.m. on Saturday. The Wildcats just finished a five-game home stand, coming out of it with a 4-1 record. The team now heads on a four-game road trip. Missouri managed to snap K-State’s four-game winning streak last Friday, coming out victorious, 4-2. K-State is no stranger to the two teams they will meet this weekend, after playing both North Texas and Washington State last year in Pullman, Washington, during the same weekend. The Wildcats will look to beat North Texas for the second consecutive year after breezing by the Eagles 6-1 last year. Washington State, however, gave the Wildcats a harder time; K-State fell to the Cougars 5-2. Junior Carolina Costamagna is coming off a victory against Missouri as she continues to hold down the No. 1 spot, looking to pick up her sixth consecutive match victory. However, she will have her hands full. North Texas rallies behind their No. 1 spot and promising young talent, sophomore Maria Kononova. Kononova is coming off an undefeated weekend, being named Conference USA Athlete of the Week after defeating Oklahoma’s Lily Miyazaki, who is ranked No. 16 nationally. Washington State has been nothing but solid while playing at home so far this season with an undefeated record of 5-0. The Cougars have relied heavily on freshman Guzal Yusupova; however, she was forced to stop competing during their last match against Dartmouth due to a sustained injury. 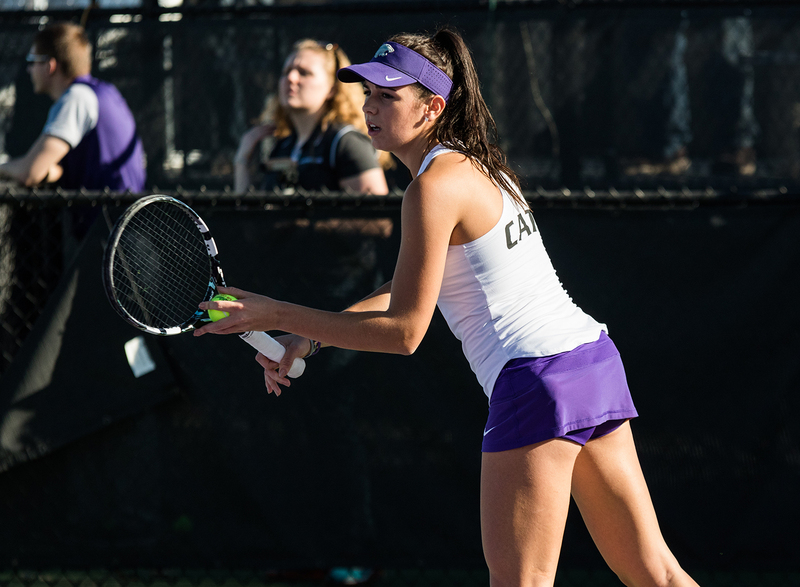 K-State’s sophomore duo of Millie Stretton and Ana Garcia Navas are coming off their first loss at the No. 2 doubles spot this season. They look to get back on the winning path against a struggling Washington State doubles squad. The Wildcats’ seniors Livia Cirnu and Palma Juhasz are determined to pick up victories to keep their successful season going. K-State will continue their road trip to Chicago to take on the University of Illinois at Chicago and DePaul the following weekend.